Tom Kyriakopoulos is provides corporate clients with comprehensive commercial and tax advisory and compliance services on all aspects of Greek law. He has comprehensive knowledge and a thorough understanding of both Greek and foreign commercial and tax issues with respect to structuring and executing complex commercial / financing transactions, implementing investments plans in Greece and pragmatically structuring cross border transactions. 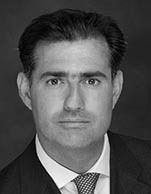 Besides his strong background in tax and corporate work, Tom Kyriakopoulos has an in-depth knowledge of the transition economies of Southeast Europe in which he has spent a good part of his working life on several large-scale projects as counsel both to foreign investors and to the EU Commission. Tom Kyriakopoulos is a recommended lawyer in many leading international legal directories (e.g. Legal 500, Chambers & Partners, IFLR).